Noble Hound would like to introduce and share the story of our newest rescue that we recently adopted out. Please meet Tator Tot James Gunderson; a noble name given to this handsome little kitty by the young man who now adopted him. Tator Tot was found injured and cold, wrapped in barbed wire and clinging to life. His body temperature was so low that it wouldn't even register on our thermometer! Due to the graphic nature of his "Before" picture, we are just sharing Tator's "After" picture with all of you. 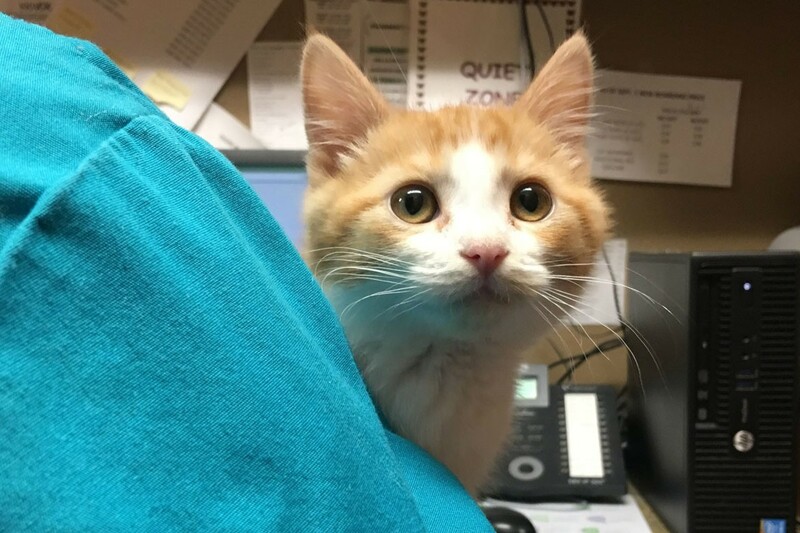 It took the coordination of a good Samaritan, a rescue organization, a generous donation from someone special, and Noble Hound's loving care to bring this kitten back to health. Tator Tot James Gunderson is now warm, well-fed, super fluffy and loved very much in his new home. In the end, all the hard work is worth it! Another reminder to adopt and not shop for your next furry friend!